Selain merindui keluarga dan guru-guru yang lain, ada seorang insan yang amat saya rindui iaitu seorang guru yang tidak pernah berputus asa mencurahkan bakti intelektualnya kepada ummah dan saya bersyukur dapat menimba ilmu dengannya dan membantu menggerakan proses intelektual saya walaupun kini saya berada di Jordan yang jauh untuk bersamanya. 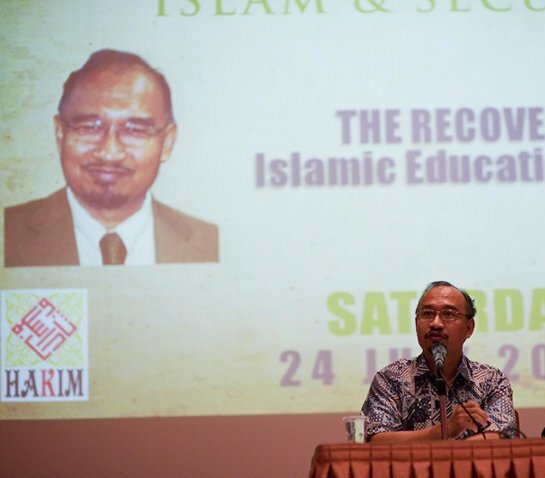 Insan yang di maksudkan ialah Prof Wan Mohd Nor Wan Daud adalah bekas Timbalan Pengarah Institut Antarabangsa Pemikiran dan Tamadun Islam(ISTAC)dan kini berkhidmat di ATMA sebagai Guru Besar Pemikiran. Semenjak 1988 sebagai salah seorang perintis ISTAC, beliau telah membantu Prof Dr Syed Muhammad Naquib al-Attas dan merupakan insan yang paling setia didalam menemani perjuangan pemikiran Prof Naquib al-Attas. "Saya menaruh harapan besar kepada kamu dan generasi kamu agar menjadi ilmuwan dan pemimpin umat yang lebih baik dari yang ada sekarang dalam semua lapangan.saya hanya melakukan tanggungjawab yang amat kecil dan penuh kelemahan"-Prof Wan Mohd Nor. I am writing this because there is this notion that postmodernism and Islam can coexist, and that the term "Postmodern Muslim" is a valid term that can be used. This is a short summary written in a FAQ form which perhaps can be used as guide the sincere seeker of Truth. Postmodernist thinkers themselves cannot agree on what postmodernism is. We will thus have to examine the views of two of the most authoritative thinkers of postmodernism in explaining what may constitute as postmodernism as an ideology. According to Lyotard, postmodernism is a sceptic worldview against Grand Narratives and the argument for a diversity of narratives where not one narrative can dominate. In the words of Foucault, "there is no truth with a capital T"; there is no Universal Truth out there. All there is are stories or interpretations of the truth that is shaped by the community and society propagating it. According to Baudrillard, postmodernism is the passive surrender of consumerist Man to the images that are bombarded onto them through various sources and channels of the media. In other words, images like Coke or Pepsi ads that pervade the media now becomes the reality of people living in urban centres. Reality is not what is objectively out there; it is created to satisfy our capitalist cravings and needs. In summary, the postmodernist assert that our view of reality isn't as real as it once seemed. We have come to realise that there is not one reality but many different, often conflicting realities. We have come to see that ideas about truth are not eternal, but made. The ideas that only God is Yahweh or Allah, or the Goddess, or that some god named Bumba vomited the Moon and stars, or the scientific notion that the Moon is a physical body of such and such mass, or that Caucasian race is the master race- all these are man-made notions. They are inventions- they are social constructs. Therefore the postmodernist, instead of dreaming of the day when all the world is united under the universal banner of Marxism or Christianity or Science, are more interested in seeing the world as a kind of carnival of cultures- a tribal gathering. The postmodern society does not mind if one story says that the Moon and Stars were vomited forth, or another story proclaims that the moon and stars were created by God. Postmodern audiences don't demand heterogeneous stories adding up to some grand, global, universal sense; they celebrate the fact that it's OK to stop making much sense. Because inevitably all our rituals, religious dogmas, myths, gender roles, self-concepts, beliefs, histories and theories are cultural, social inventions. As such, postmodernism also encourages participating in more than one Grand Narrative; its OK to be a Buddhist Christian! What do our Muslim luminaries say about this postmodernist attitude? How different are the postmodernists from the Sophists mentioned by the scholars of the past,the intellectual adversaries of Islam? The answer is, actually there isn't much difference. As mentioned by Imam Al-Ghazali, "once the real meaning is understood,there is no need to quibble over names". "The People of Reality- may Allah honour them forever- say "The realities of things are established in their existence and the knowledge of them is certain in contradiction to the Sophist." The Relativists believe that everything is subjective according to context. There is no Absolute Truth established out there because everything in subjective to interpretation. The Sceptics believe that everything must necessarily be cast in doubt following the assumption that there is no Universal Truth. The Agnostics believe that since everything cannot be known in certainty, therefore it follows that one should just be content in one's ignorance and celebrate the diversity of opinions, whether true or false. 1) Believe that there isn't a Universal, Objective Truth and Reality out there. 2) Believe that reality and narratives are social constructs that must be cast in suspicion and scepticism. 3) Believe that because there are so many interpretations of the truth whose objectivity cannot be determined, it is OK to celebrate the diversity of opinions? What should the Muslim attitude towards postmodernism be? 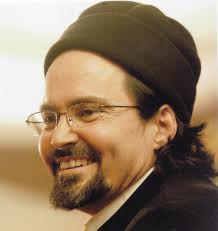 I am not suggesting that everything is postmodernism is absurd and wrong and that we should not read postmodernist material because they are dead wrong :p I am suggesting that we should be critical; we must necessarily reject the axioms of postmodernism that would affect our aqidah. At the same time I think that postmodernist material is particularly useful in understanding the human (Western) condition in the modern era; of how nowadays we are so fixated to our television and computer screens thinking that the images they show is reality, about how many of us used to believe that Science is an objective description of reality only to know that it is itself a social construct, about how information is controlled by those who are in power etc. And what postmodernists say also help to debunk some stereotypes concerning Muslims and their history too. We reject postmodernism as a philosophical programme that challenges our aqidah. This means we reject the notion that everything are social constructs, because if it were the case then the Quran is not Divine anymore and that our fundamental concepts that constitute our worldview would be rendered meaningless because all of them are but social constructs established by those who were in power. This is particularly erroneous because the Quran and the Sunnah are revealed to us by Allah s.w.t, safeguarded from error by a mutawatir chain of narrators who are pious and sincere. This source of knowledge is known to us as Khabar Sadiq, that is, true report that is successively transmitted upon the tongues of people whom reason cannot conceive that they would purpose together on a lie, and the report of the Messenger of Allah confirmed by miracle. Following the fact that the Holy Quran is objectively established by Allah and transmitted to us by the Prophet and on the tongues of the sincere, we necessarily reject the notion that there is no objective truth out there. Because if there were no objective truth, then the religion of Islam is reduced to that of a social construct, that Islam is a partial (human-created) truth that must be supplemented by other human-created thoughts and ideologies, that Islam is not the Absolute Truth. "There are no gods....but Allah,and Muhammad is His Messenger." So is there such a thing called the "Postmodernist Muslim"? The term itself is a paradox. Its like saying "colourless green ideas sleeps furiously"; a term that lacks meaning and hence isn't a term at all. A Muslim is a Muslim and a Postmodernist is a Postmodernist. However, there is no harm learning and appreciating postmodernism as long as we are critical enough to discern its truth from its falsehood. Begitula hebatnya bila hati ini bertaut atas dasar akidah yang satu dalam bersama berjuang mencari kebenaran.Terima Kasih yang tidak terhingga saya ucapakan kepada abang Hilmi dan semua Felo HAKIM yang banyak membantu saya dalam proses memahami dan mempelajari dalam pencarian kebenaran.Dan saya percaya HAKIM mampu menjadi nukleas perubahan umat islam dengan kerja kuat dan pergantunggan yang hebat kepada Allah. Dengan asas gagasan yang sudah mampu memberi sejarah terbukti kejayaan ianya memerlukan memakan masa yang cukup lama walaupun hasil itu tidak dilihat penggeraknya.Doakan keberangkatan saya berjuang ilmu dibumi syam tidak lama lagi.Sesungguhnya sungguh indah kenangan bersama kalian!!! 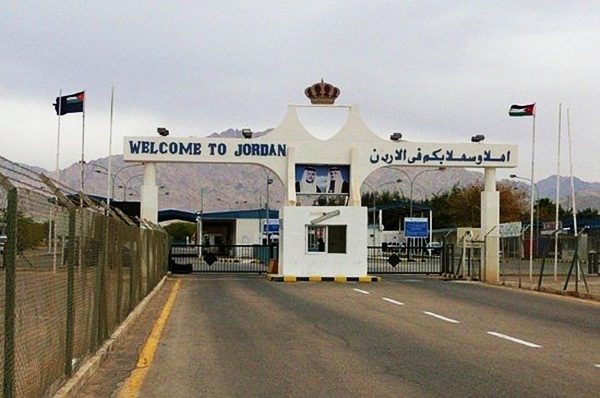 saya memilih jordan salah satu perjalanan intelektual saya selepas saya meneliti panjang kisah ini dua tahun yang lepas. Oleh itu saya tidak teragak-agak terus memilih yarmouk salah satu perjalanan itu. Sukar juga bila melihat posisi perjalanan asal saya bila melihat bakal perjalanan yang akan datang”.Harakiyyun filsuf” itula salah satu proses perjalanan itu.Bagaimanapun saya termotivasi selepas guru saya,Prof Wan Mohd Nor memberi semangat dan nasihat bahawa proses menuntut ilmu ini perlukan kesabaran dan ketabahan yang tinggi serta terus membulatkan niat yang murni kerana ianya asas kunci kejayaan. Shaykh Muhammad Afifi al-Akiti's Fatwa entitled Defending the Transgressed by Censuring the Reckless Against the Killing of Civilians was written in response to the strife and troubles afflicting the Community of Muslims, and humanity at large, in our age, day in and day out. Stress and confusion have been created by Muslims who, intentionally or not, have misinterpreted the legal discussions on warfare in Islamic Law. They set them outside their proper contexts and abuse them, turning them into justifications for their hate-inspired crimes. The key Islamic concepts and rules pertaining to the conduct of war and its jurisprudence, its arena and boundaries, and the subject of suicide bombings and the reckless targeting of civilians have probably never before been presented in English with such depth, clarity of thought, and breadth of scholarship in Muslim Law. Upon reading Shaykh Afifi's fatwa do not be surprised to find that you have probably never before seen such clarity of thought and expression together with breadth of knowledge of Islamic Law applied (by a non- native speaker) to define key Islamic concepts pertaining to the conduct of war and its jurisprudence, its arena and boundaries, suicide bombing, the reckless targeting of civilians, and more. Maha suci Allah yang menguasai dan memiliki semua makhluk di bumi. Selawat dan salam kepada Rasul Muhammad saw ibni Abdillah. Seterusnya seluruh kaum keluarga dan para sahabat Baginda saw. Salam juga kepada ummat kebangkitan kali ke 2 walau di mana saja saudaraku berada, yang bersungguh-sungguh membuktikan akan kebenaran Agama Allah yang terakhir ini. Saya berpendapat era kebangkitan Islam sebelum ini, yang dipandu oleh sebahagian gerakan ummat Islam semasa telah berjaya menterjemahkan `fiqh al-harakah` sehingga kebanyakan ummah dapat menerima bahawa perjuangan menegakkan kembali Islam mestilah bersama jamaah atau gerakan Islam. Ini `key-word` asas fiqh al-harakah. Kelemahan dan kesilapannya ada iaitu dalam usaha menjalankan kerja-kerja tersebut sebahagiannya gagal membina hadharah disebabkan mereka berfikiran akan dapat dibina bila adanya negara. Bila mereka tidak mewujudkan hadharah sendiri (hadharah Islamiyyah) yang sepatutnya mereka bina bersama-sama, mereka terperangkap dengan `hadharah semasa` yang menawarkan kekuasaan politik demokrasi, boleh kita simpulkan sebagai ketidakfahaman tentang `fiqh al-hadharah`. Dalam perjuangan Islam yang penuh dengan mehnah dan cabaran ini menuntut ummatnya supaya lebih berhati-hati serta benar-benar faham akan hakikat perjuangan dan hakikat Agama Islam itu sendiri yang mesti diterima pakai serta diperjuangkan oleh penganutnya seperti yang dicontohkan oleh Baginda Rasul saw dan generasi awal. Supaya agama yang kita anut ini, mempunyai ciri-ciri persamaannya dengan anutan saudara-saudara kita yang terlebih dahulu pergi meninggalkan kita. InsyaAllah, usaha-usaha bagi memahami dengan lebih mendalam tentang fiqh al-harakah dan fiqh al-hadharah sesuatu yang sepatutnya mendapat tempat di hati-hati ummah kebangkitan kali ke 2 ini. Dengan bersangka baik, insyaAllah! ummah akan dapat juga mengikutinya walaupun dengan perlahan-lahan. Seperti ummat Islam hari ini mulai faham untuk memperjuangkan Islam mestilah bersama-sama jamaah sekurang-kurangnya. Sebenarnya ummat Islam yang faham fiqh al-harakah bukan atas sentimen atau semangat sahaja, rasa terpanggil untuk menyertai jamaah atau gerakan Islam ialah untuk tujuan perjuangan membina atau membangunkan kerja-kerja Islam sebab kerja Islam ini BESAR, HEBAT, LAMA, JAUH BERJALAN, BERAT tak mampu dibuat atau dibangunkan oleh individu, sebab itu Nabi saw pun tak buat kerja seorang diri. Wadah yang digerakkan berasaskan kefahaman fiqh al-harakah akan menjana kerja-kerja perjuangan kita. Disebabkan perjuangan kita perjuangan Islam ia akan menghasilkan Hadharah Islamiyyah. Jika wadah itu wadah sekular ia akan menghasilkan hadharah sekular, ringkasnya wadah jahiliyyah akan menghasilkan hadharah jahiliyyah. Tetapi jika kefahaman tentang fiqh al-harakah pun tak jelas, cara-cara nak menjana pun kurang, apalagi sistem janakuasa pun `fashion` lama, tak Islamik, tiru tren jahiliyyah, ini yang selalu ummah akan hadapi gangguan `black out` bekalan tenaga. Adakah semua ummah kebangkitan kali ke 2 boleh terus bersetuju dengan wadah yang tidak berhasil menjanakan Hadharah Islamiyyah. Sebaliknya mengalihkan `beringnya` ke arah mencapai cita-cita politik semasa mengikut kehendak hadharah orang ramai. Orang ramai yang jahil tentang Hadharah Islam begitu diplomatik menjuruskan kehendak mereka ke atas wadah atau pihak kita yang dah tercabut rasa malu mengidamkan `singgahsana` hadharah mereka? Ini satu lagi persoalan masa kini yang ummah kena betul-betul serius menangganinya.Ummah jangan `berjurus` tak kena tempat, taat kepada jamaah atau pemimpin selagi tidak bercanggah dengan taat kepada Allah swt dan taat kepada Rasul saw. Peranan fiqh al-hadharah pula dapat mengatasi kejahilan ummat dan sikap fanatik kepada sesama makhluk yang sanggup memperbodohkan aqal sendiri. Fiqh al-hadharah ialah kefahaman secara yang bersungguh-sungguh untuk menghidupkan ajaran Islam itu sendiri dalam seluruh hidupnya secara peribadi, keluarga, kejiranan, jamaah, masyarakat dan sampai kepada yang lebih besar. Itu tujuan Islam diturunkan kepada ummat manusia,`Rahmatan lil`alamin`. Sebab itu bagi saya memahami fiqh al-hadharah ialah memahami sesuatu tentang seluruh sistem kehidupan seseorang Muslim itu sendiri, dari mana dia datang, untuk apa dia meneruskan hidup dan ke mana kesudahan segala aktivitinya. Perjuangan menegakkan Hadharah Islamiyyah di Madinah telah bermula 13 tahun di Mekah lagi, dengan sekurang-kurangnya 2 percubaan/eksperimen hijrah iaitu ke Habsyah dan ke Taif. Seterusnya mengadakan perjumpaan dengan khabilah-khabilah dari Madinah pada musim haji dan mengIslamkan mereka lalu menghantar naqib atau murrabi kepada mereka bagi membina hadharah awal di sana. Saya lebih suka menyebut Hadharah Islamiyyah di Madinah bukan Negara Islam Madinah kerana istilah negara itu sendiri telah diberikan oleh generasi kemudian. Lagi pun istilah negara itu menjadikan ummah mudah keliru kerana ummah akan membandingkan dengan negara yang ada pada hari ini. Sedangkan yang Nabi dan para sahabat generasi pertama dulu tegakkan ialah, peribadi, biah termasuk keluarga yang beriman membina kekuatan ukhuwah dan ummah itulah sebenarnya hadharah. Jadi rasanya sebagai ummah kebangkitan kali ke2 sepatutnya faham bahawa kita berpakat, berorganisasi, berjamaah ialah supaya kehidupan kita sekarang (semasa) dapat berjalan dengan baik dan mampu menghadapi suasana sekeliling yang bukan hadharah yang kita mahukan. Tiada makna kita berpakat untuk membina hadharah yang bukan hadharah Islam seperti sekular atau demokrasi, yang orang lain tentukan 24 jam sehari ke atas kita. Kita yang sepatutnya berpakat bersama-sama menentukan kehidupan hadharah sendiri. Sebagai kesimpulan, suka saya menyatakan bahawa tiada apa-apa percanggahan antara kedua-dua gagasan fiqh al-harakah dan fiqh al-hadharah yang telah para ulama` terdahulu sampaikan kepada kita. Cuma kelemahan ummat sendiri sebelum ini kurang memahami keduanya atau terlebih tumpu kepada fiqh al-harakah lalu terbabas, sehingga merasakan kehebatan harakah masing-masing adalah segala-galanya. Harakah atau jamaah tidak boleh dipertikai atau ditegur langsung, begitu juga dengan para pimpinannya. Sedangkan harakah atau jamaah tadi cuma alat untuk menjana perjuangan iaitu kehidupan berhadharah sesama ummat Islam. Jangan terkejut saudaraku! Alat, harakah atau wadah boleh bertukar ganti… hak Allah swt yang menentukan kepada golongan mana yang layak tetapi hadharah atau bentuk dan ciri-ciri Hadharah Islamiyyah sama sekali tidak berubah seperti yang dibina oleh Nabi Besar kita Muhammad saw dan seluruh ummat Islam generasi pertama dahulu. Semuanya kembali kepada kita sendiri yang harus mengenali dan tahu menilai agamanya sendiri. Semoga Allah akan memahamkan kita ummat kebangkitan kali ke 2 akan agamaNya. Maksud firman Allah - “Ia menurunkan air dari langit, lalu membanjiri tanah-tanah lembah menurut kadarnya yang ditetapkan Tuhan untuk faedah makhlukNya, kemudian banjir itu membawa buih yang terapung-apung. Dan dari benda-benda yang dibakar di dalam api (lebur) untuk dijadikan barang perhiasaan atau peralatan yang diperlukan, juga timbulnya buih seperti itu. Demikianlah Allah memberi misalan tentang perkara-perkara yang benar dan yang salah. Adapun buih itu maka akan hilang lenyaplah ia hanyut terbuang sebagai yang tidak ada harganya (nilai). Adapun yang memberi manfaat dan faedah kepada manusia maka ia tetap berada di bumi. Demikianlah Allah menerangkan misal-misal sebangai perbandingan” (ar-Radd 17). Sekian dahulu, sebagai memberi pandangan, wallahu`alam bissawab! Ini bukan artikel saya tulis. Artikel daripada Ibn Ramadhan ini menjawab banyak persoalan asasi yang mungkin timbul berkenaan pertentangan fiqh al-Harakah dan fiqh al-Hadhara yang dilontarkan melalui tulisan Dr. Amran yang lalu. Memang tidak sebarang penentangan kerana fiqh al-Hadharah ini sebenarnya menggagaskan perkara yang cukup asas iaitu pembinaan pandangan alam Islam ( ru’yat al-Islam lil wujud) yang merupakan PENTERJEMAHAN AQIDAH ISLAMIYYAH KE DALAM SEGENAP BENTUK KEHIDUPAN BAIK LAPANGAN ILMU FARD AYN DAN FARD KIFAYAH. Terminologi seperti espitemologi, ontologi, aksiologi etc. Semua itu hanyalah alat untuk mengupas konsep yang diketengahkan oleh ulama’ terdahulu dalam realiti semasa. Maka tidak perlu rasa ‘takut’ atau ‘membida’ah’kan semua ini kerana ada asas kepada penggunaan terminologi-terminologi tersebut dalam wacana fiqh al-Hadharah yang menekankan aspek metafizika secara lebih mendalam. Apa yang diperkatakan Ibn Ramadhan ini sebenarnya satu kritikan ringkas. Yang ditulis oleh Dr. Amran itu lebih mendalam. Permasalahan ini seperti yang ditegaskan di atas adalah kerana umat Islam telah mengabaikan tradisi keilmuan zaman-berzaman. Kitab aqidah yang mu’tabar seperti Aqaid al-Nasafi, Aqidah al-Tahawiyyah etc. tidak lagi di ajar secara meluas di kalangan ummah. Biarpun ada yang mengatakan cukuplah bermula dengan “Tauhid Tiga” seperti yang digarap oleh Ibn Taimiyyah, tetapi dalam keadaan umat diserang sekularisme dari pelbagai sudut, kitab aqidah tradisional dari ulama’ ‘superstar’ dan autoriotatif sangat-sangat relevan untuk diajar DENGAN PENJELASAN BERDASARKAN KONTEKS DAN CABARAN SEMASA. Ya semua ini teori sahaja. Bagi golongan yang mencemuh aspek teoretikal dalam tuntutan projek pengislahan ummah, anda boleh sahaja teruskan ‘action’ anda itu dalam keadaan kefahaman yang cetek lagi dangkal. Kalau teori pun tak faham, sudah tentu amal tidak dapat dizahirkan dengan BETUL dan TEPAT! Cuba tanya mengapa anak-anak Melayu sekarnga berperilaku sebegitu. Apakah mereka tidak solat? Tidak percaya kepada Allah dan Rasul-Nya? Tentu mereka percaya TETAPI KUALITI KEFAHAMAN ITU BAGAIMANA? Ini yang Prof. al-Attas tekankan selama lebih 50 tahun perjuangan keilmuan beliau ya’ni kehilangan adab yang melahirkan ke kekeliruan dan kesalah fahaman dalam ilmu. Umat Islam tidak bodoh kerana kita mempunyai pelbagai kemudahan untuk menuntut ilmu. Jahil murakkab mungkin. Jahil yang bertimpa-timpa. Jahil yang dimana orang tersebut tidak tahu dia keliru. Golongan inilah yang mencacatkan fiqh al-Hadharah umat. Sebab itu ulama’ silam sangat serius melawan sebarang pencemaran aqidah daripada puak-puak yang beriman kepada Allah dan Rasul-Nya TETAPI SALAH FAHAM DAN KELIRU dalam pelbagai aspek pandangan alam mereka seperti golongan Ismailiyyah, Mu’tazillah, Khawarij, Jabariyyah, Sufastaiyyah, Mujassamah dan banyak lagi. Memang golongan ini secara harfiahnya sudah tidak wujud tetapi kes pluralisme agama, ektremisme agama, liberalisme agama itu semuanya sedikit sebanyak bertunjangkan PENGARUH SILAM seperti yang diterangkan di atas, yang terus wujud dalam ketamadunan manusia pada hari ini. Mengikut Ustaz Maalik Bennet, umat memerlukan kemenangan moral (morale victory) dahulu barulah kemenangan fizikal (physical victory). Apa yang dimaksudkan oleh Ustaz Maalik adalah kemenangan aqidah terhadap sebarang serangan pemikiran harus berjaya ditangani, terutamanya masalah kehilangan adab dalam pendidikan seperti yang dijelaskan dengan tuntas oleh Prof. al-Attas. Semua ini mencerminkan strategi dakwah fasa Makkiyah yang menjadi ASAS kepada dakwah dasa Madaniyyah. Tidak lain dan tidak bukan, fiqh al-Hadharah merupakan konsep yang menepati dakwah fasa Makkiyah ini yang menjanjikan kemenangan moral terhadap umat Islam jikalau kita benar-benar sedar akan kepentingannya. Sekali lagi, bilamana penegasan dibuat terhadap fiqh al-Hadharah berbanding fiqh al-Harakah atau fiqh al-Siasah, tidak bermakna kedua-dua yang akhir itu tidak perlu dijalankan. Sudah tentu kita perlu berpolitik, dan membuat segala macam kerja-kerja di lapangan. Agama Islam bukan agama monastik, beku, jumud, totok, lemau macam biskut Merry. Agama Islam melahirkan insan-insan yang dinamik, seperti yang dijelaskan oleh Ali Syariati dalam gagasan rausyanfikir beliau. TETAPI ruang dan peluang, pengiktirafan dan kerjasama harus dijalinkan erat antara golongan yang memperjuangkan fiqh al-Hadharah dengan fiqh al-Harakah kerana TUNJANG kepada perjuangan fiqh al-Harakah adalah fiqh al-Hadharah. Siapakah golongan yang memperjuangkan fiqh al-Hadharah? Sudah tentu golongan tafaqquh fi al-Din ya’ni para ulama’, intelektual, saintis etc. Merekalah arkitek dan jurutera projek pembinaan tamadun Islam. Merekalah golongan ulul albab! Maka jangan sesekali kita mencemuh, menghina dan menempelak golongan yang mendedikasikan masa dan tenaga mereka pada penulisan, pembinaan teori dan kerangka ilmu, sastera ilmi dan segala macam kegiatan yang menyumbang kepada projek fiqh al-Hadharah! Janga sesekali kita cepat menjadi biadap terhadap golongan yang berfalsafah dengan mencemuh FAL-SAMPAH dan sebagainya kerana dengan perbuatan sedimikian, anda secara automatik mencemuh para ulama’ silam yang tidak tidur malam meng-Islamisasi-kan ilmu falsafah Yunani yang menjadi ASAS kepada segala macam lapangan ilmu yang kita belajar dan amalkan pada hari ini. Golongan yang biadap terhadap golongan tafaqquh fi al-Din inilah sebenarnya menjadi liabiliti kepada perjuangan Islam seolah-olah para ulama’ yang melahirkan ratusan kitab merupakan satu perbuatan sia-sia kerana semua itu HANYALAH TEORI SEMATA-MATA. Golongan sebegini mempunyai bau-bauan Neo-Khawarijisme, Ekstrimisme, Utopianisme, Jumudisme, Totokisme, dan segala macam isme yang mereka sendiri tidak tahu sebab terperangkap dalam lingkaran kekeliruan tersebut. Golongan al-jahlu wanabdul 'ilm ( jahil dan membelakangkan ilmu) sebenarnya mempunyai masalah ittiba’ul-hawa wa fasad al-qasd ( menuruti hawa dan mempunyai niat yang rosak) dalam memahami hakikat ilmu dalam Islam. Ilmu dijadikan barang dagangan duniawi semata-mata seperti yang puak kapitalisme lakukan. Cita-cita besar tapi tin kosong. Bankrap idealisme. Islam akhirnya dijadikan ideologi semata-mata. Jelas disini, bahawa usaha dan kerja mempersiapkan fiqh al-Hadharah ummah bukan satu perkara yang boleh diperlecehkan khususnya oleh golongan mahasiswa. Cabaran UTAMA umat berkenaan fiqh al-Hadharah pada waktu ini sudah tentu projek Pengislaman Ilmu ( Islamization of contemporary knowledge) yang mana bukan mudah untuk dilakukan tanpa ada kefahaman yang betul berkenaan al-haqq wa batil. Sebab itulah kita kena belajar falsafah Barat DALAM KERANGKA falsafah Islam melalui GURU YANG BERWIBAWA. Fiqh al-Hadharah umat yang ada pada hari ini seperti dimamah oleh anai-anai oleh itu, perlu ada segolongan manusia yang benar-benar menumpukan diri mereka pada jalan ini dan diberi sokongan dan bantuan yang seadanya oleh semua pihak.